Prominent & Leading Manufacturer from Ahmedabad, we offer compack boiler, bi drum boiler, single drum water tube boiler and single drum high pressure boiler. Our clients can avail an exclusively designed range of Compack Boiler from us. 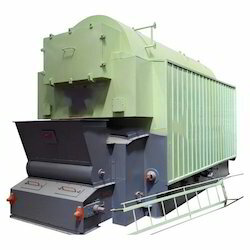 This Bi-Drum Boiler is easy to install and dismantle and is highly efficient. Our ranges of products are highly appreciated for their features like easy maintenance, optimum heat transfer and flexible control characteristics. They are available in different capacities in order to meet clients varied requirements. These boilers offer longer service life with less power consumption. They are widely used in various industries like continuous processing industries and power plants for various applications. 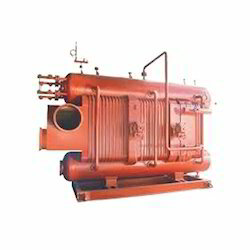 We are a reliable firm, which is engaged in delivering Single Drum Water Tube Boiler to respectable clients. The offered range is available in number of forms, grades, capacities and allied specifications in accordance with the diverse requirements of clients. In addition to this, the offered range is highly acknowledged in the market for its rugged robust construction and minimum site erection. 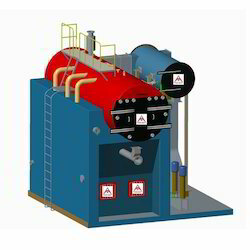 Our offered Single Drum High Pressure Boiler is designed and created with use of industry grade components and under the guidance of our experienced engineers. This boiler is a low based boiler with a bi drum water tube and is suitable for highly quality steam requirements for co-generation and process. Moreover, this is available in variations and is open for customization to suit customer’s specific list of requirements. Customers can avail this at leading market rates after a thorough supervision of our learned engineers to ensure compliance.